With the layout operating well, I’ve started to focus on getting the freight car fleet up to snuff. BC Rail had a large fleet of open top woodchip gondolas, many built by the Squamish Shops under the Railwest Manufacturing banner. 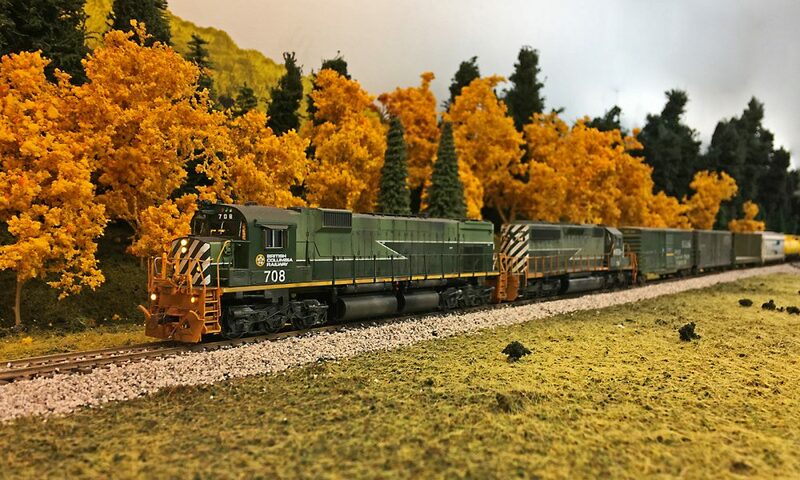 Over the years I’ve aquired a few of the Kaslo Shops resin kits for the cars, and I have a bunch more on order whenever they are produced again, The kit went together surprisingly well, with a few extra details like coupler cut levers, grab irons and ExactRail trucks added to the basic kit. I still have to build a load for the car, looking at prototype photos the chips were loaded higher then the interior cross pieces, so the load I build will have to be notched to clear them. I think I’ll build a removable load using some foam insulation board cut to shape and covered with sawdust. There’s still a long way to go to get a representative fleet of chip cars running on my layout, thankfully the Kaslo kit is quite well designed and fun to build!